Once you’ve booked a tour, this is what you can expect from us and what you should bring to the tour. We use Tennessee-made Jackson Kayaks: the Regal, the Tupelo, and the Ibis. See below. They are all single sit-inside, stable kayaks. You can expect to stay mostly dry. Size limitations: 6’7”, 260lbs. We only provide tandem kayaks upon request, and try to reserve them for folks who need them, those limited by age, injury or disability. We use US-made Perception Pescador 12. These are stable, sit-on-top kayaks, so your tush and toes could get a bit wet. Size limitations: 6’1”, 265lbs. We do not use tandem kayaks for this tour. Our paddles are Bending Branches Whispers. We provide Onyx PFDs (life jackets) and dry bags for all paddlers. 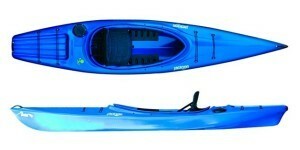 We proudly purchase our kayaks locally from Massey’s Outfitters!! Warm season: light-colored loose-fitting clothes, sunscreen, hat, sunglasses, and water. A snack is necessary for the Pontchartrain Paddle. If your paddle is longer than two hours, bring at least a liter of water. Southern heat ain’t no joke! Cool season: layers of mobile clothes, gloves, sunscreen, hat, sunglasses, and water. A snack is necessary for the Pontchartrain Paddle. FYI, it gets cooler than 70 degrees down here! We can have highs in the low 50s. Check the weather before you pack. Extra stuff: Some folks may enjoy taking a pair of binoculars along; we’ve got some good looking birds down here! Light gloves will help protect your hands from blisters.